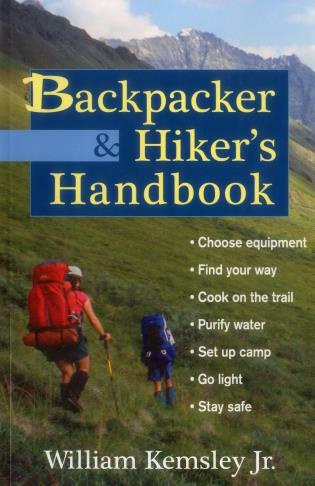 Backpacker and Hiker's Handbook tells how to plan and prepare for a backpacking trip and discusses equipment, safety, and the essential trail skills of using a compass, purifying water, cooking, and where and how to set up camp. William Kemsley Jr. is the founder of Backpacker magazine and cofounder of the American Hiking Society, one of the most influential nonprofit organizations lobbying Congress today. He has authored numerous books on hiking and backpacking, including the best-selling Buyer's Guide to Backpacking Equipment (978-0-0202-9090-2) and Whole Hikers' Handbook (978-0-6880-8476-9). Kemsley lives in northern New Mexico, where he enjoys hiking and backpacking many times a year in the southwestern mountains, deserts, and canyons.